All sides of Vilnius – Daily! MTB Tours – daily in 2018! open everyday including Sundays from 10 a.m. to 8 p.m.
During the weekend of Easter 2019 bicycle rental will be open on Saturday, April, 20th and Monday. April, 22nd. City tours by bicycle will not take place on the Easter weekend, only bicycle rental. 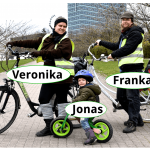 Next bike tours – Thursday and Friday 11 a.m.! Rent a bike on Saturday and Sunday from 11 to 17! Saturday and Sunday there will be NO bike tour, but the bicycle rental will be open from 11 a.m. to 5 p.m. at least – by agreement even longer. The weather forecast tells us it will be quite cold (under 10 degrees Celsius) but sunny. This Saturday, April, 6th we’ll be with you with full force from 10 to 20.00 (10 a.m. to 8 p.m. – that’s our Summer schedule). 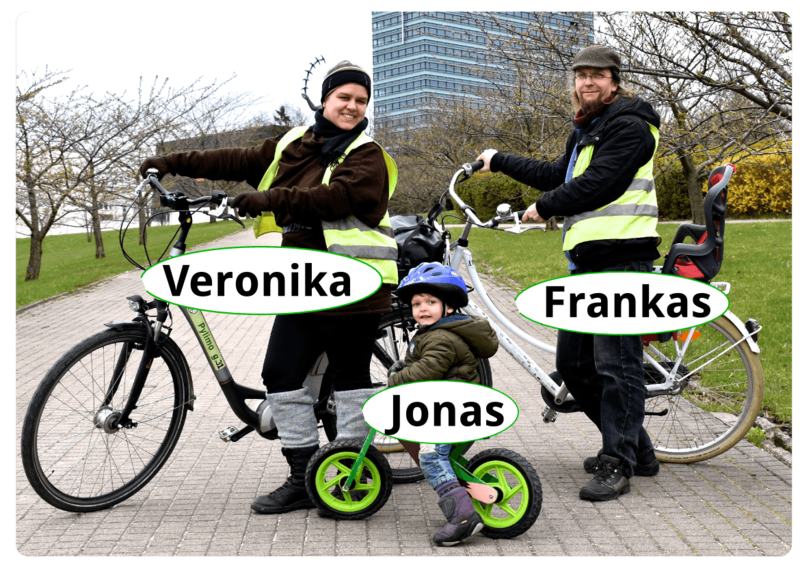 At 11 a.m. we invite you to join a group with our city tour by bicycle (17EUR, about 3 hours). From today, April 1st (no joke) our office is opened on a regular basis again. Afterwards we turn to our full summer schedule and work from 10 a.m. to 8 p.m. (10.00 to 20.00) every day (until September). We welcomed for bicycle rental, our city tours by bicycle, to buy a used bicycle or just to inflate your tire ! We have to inform you, that there is no bicycle repair service at Velo-City Vilnius. nuo Balandžio iki Spalio: 10 iki 20 val. nuo Balandžio* iki Spalio: 10 iki 20 val. FREE Walking tourDaily at 11 a.m.